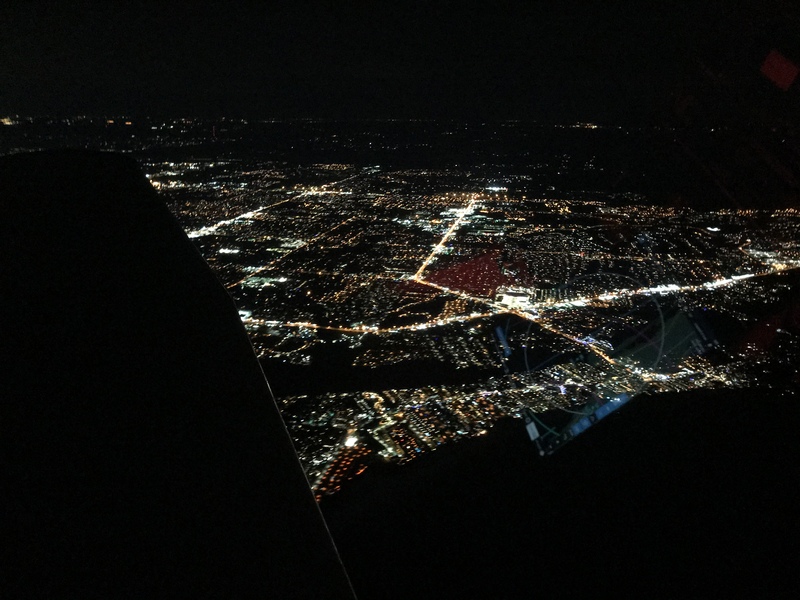 I crossed the three hours of night flight, the night cross-country, and the 10 night landings requirements off the list tonight. 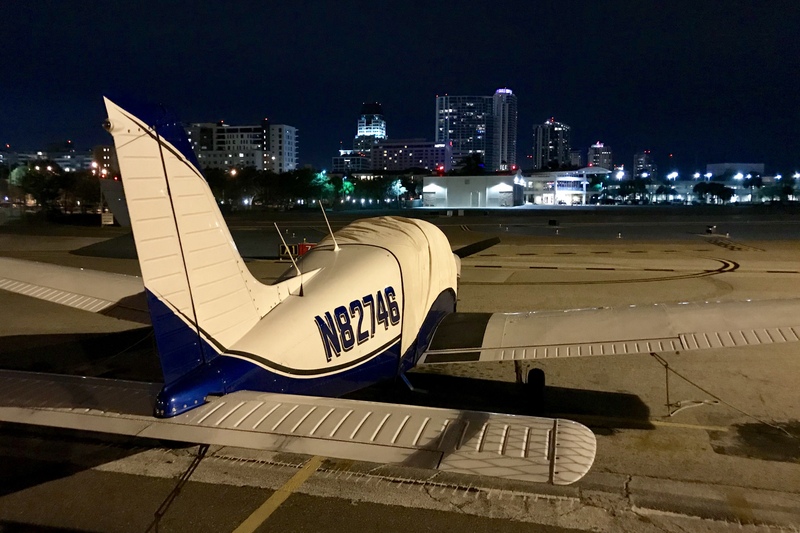 It was an amazing experience and a beautiful night to fly. 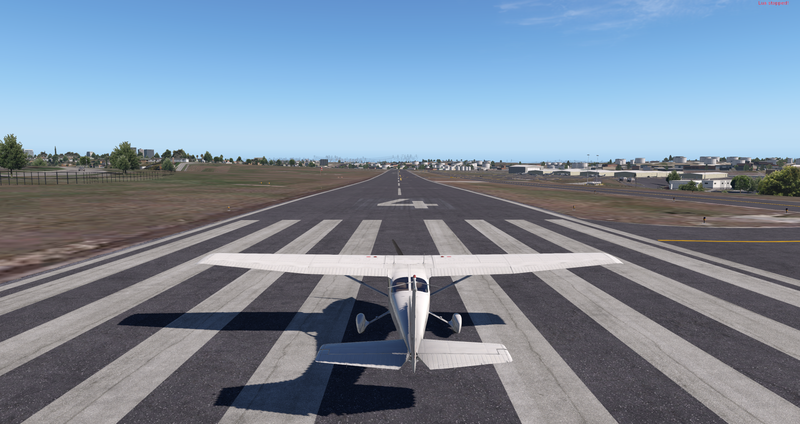 This morning I downloaded and for the first time used the new Ortho4XP 1.3 (download links are in Oscar Pilote’s signature line here). 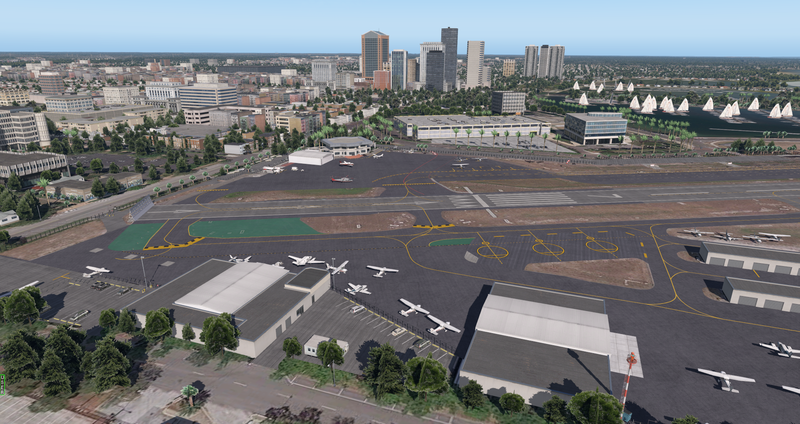 It has several improvements over version 1.2, one of which is smoothing that allows you to have sloped (and not flattened)) airport runways. I watched this YouTube video on how to use it, and the steps there worked perfectly. 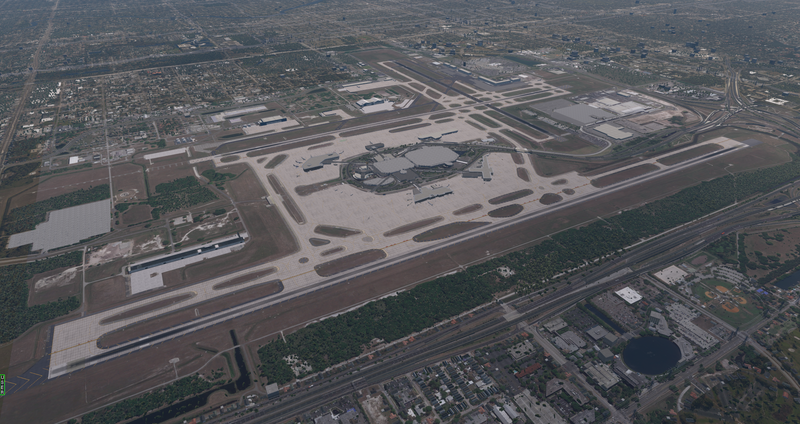 Also, as he does in the video, I went the extra step in creating mesh and overlays from the HD Mesh 4 package, and downloaded zoom level 19 tiles for several of the airports in the tile. Also, I’m nearly done with my new Gateway version of Albert Whitted / KSPG. You can see that here, too, in the first several images. Overall, I think the result is fantastic, and I look forward to building a bunch of new tiles. One of the fantastic things about PilotEdge is the significant amount of educational resources they provide, one of which is the “I-Rating” series of training scenarios. 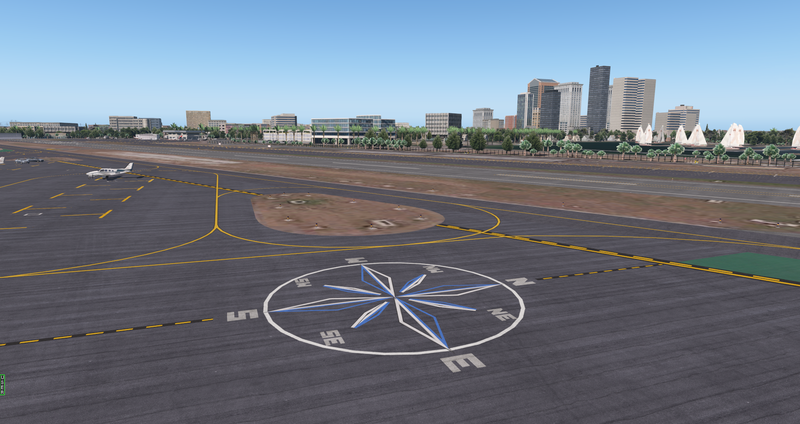 I’ve already passed the I-1 rating on PilotEdge but thought it would be fun to fly it in VR (it’s an IFR flight to and from John Wayne using the ILS 20R approach) in IFR conditions. I bring Navigraph maps (I picked up an annual Navigraph subscription this week) into the virtual cockpit via the AviTab plugin, which works well. X-Plane 11.3beta5 eats 11+ gig of my VRAM for some reason, which does not work out well. But we complete the flight nonetheless. Three thoughts based on this simulated hop: 1) Gotta figure out the VRAM situation, as that’s not good and it’s never happened to me before in X-Plane. 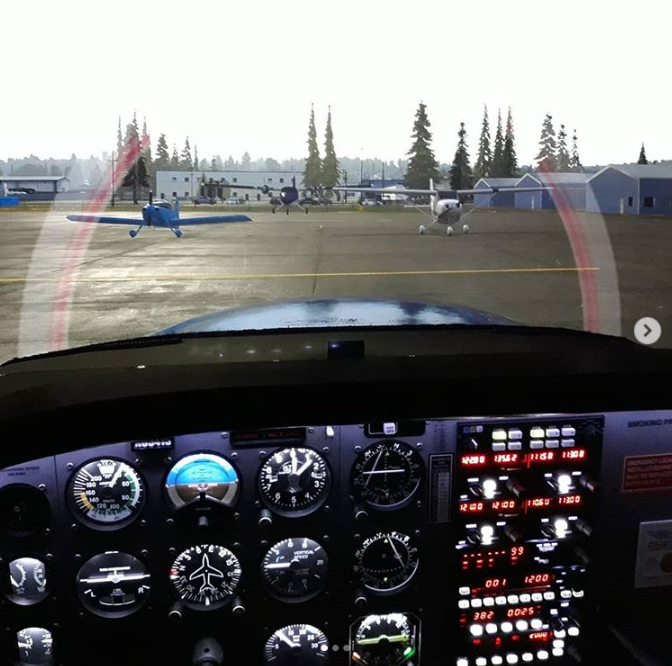 2) IFR in VR was very realistic, especially with the clouds. The Jeppesen charts in the cockpit via AviTab work great, but it’s still quite taxing to manage radios and notes under the headset. This may be a good thing, though, as it creates task saturation, and the realism of VR may make it worth it as it really felt like being under “the hood” real-world. 3) I’m going to plow ahead with the I-Ratings (I’ve done them through I-4 but will do them all starting with the I-1) and their supporting videos as a jump-start on my real-world instrument training. I’ll fly some in VR and some in the physical cockpit and decide which feels like better training and report back. I have the blog and YouTube set to auto-post on the On The Glideslope Facebook page, but I should probably note that I don’t visit Facebook often, if at all. If you have a question or comment, consider posting it here as I’ll be more likely to see it. Thanks. Was able to take a nice long flight on Friday and knock out the remaining minutes of my solo cross-country requirement. It was a beautiful day for flying. The 172 I fly was booked so I took the Archer. A few weeks back I rebuilt the sim panel (this is now version three of the panel). Here’s a video review of the finished product. Note that at the time I shot this video I had not yet updated the firmware for the RealSimGear GNS units. They work great now after that update. I haven’t been very disciplined about posting archived YouTube streams here, but here’s one: a transition of the LAX Bravo airspace via the Coastal Route transition, in the home cockpit with the new panel, on PilotEdge. Learn more about PilotEdge ATC here, and learn more about LA Bravo transitions here. The Coastal Route is pretty straightforward — to and from the LAX VOR on specific radials at an ATC-assigned altitude. 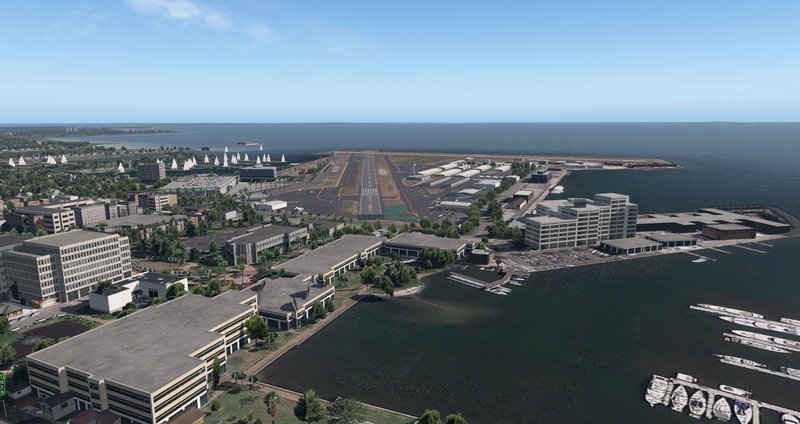 I came across a new resource for X-Plane users today, Threshold. 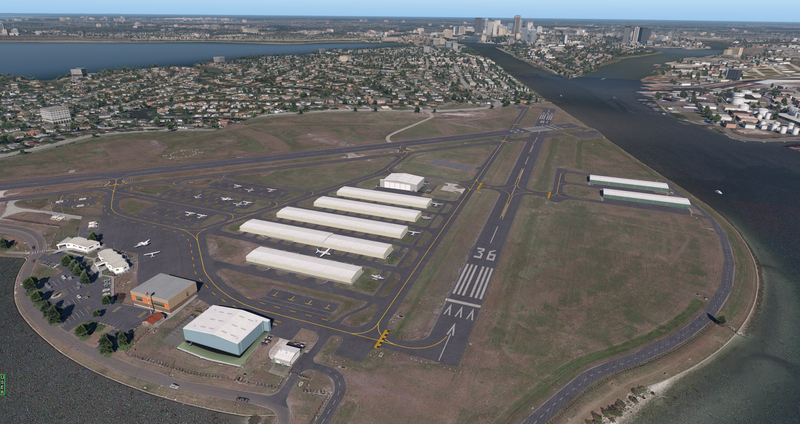 Forums, downloads, articles, reviews, editorial, and more, including a nice “getting started” page for X-Plane. The site lacks a thorough “about” page, but it appears an intentional alternative to other X-Plane ecosystems. Check it out. One of the folks I’ve been fortunate to get to know through this blog and my YouTube channel is a Frenchman (now living in Belgium) who goes by the handle Taxi Into Position And Hold. He’s often in the chat on my YouTube streams, and as a real-world pilot and builder of his own very impressive simulator he always has meaningful contributions to the discussion. And now we can all benefit from his point of view, as he’s launched his own blog and YouTube channel. Give them a look. Look, too, at his C-172 sim panel, which is about at close to the real thing as one can get. It’s truly remarkable work and a beautiful addition to the simulation community. Here’s a peek. 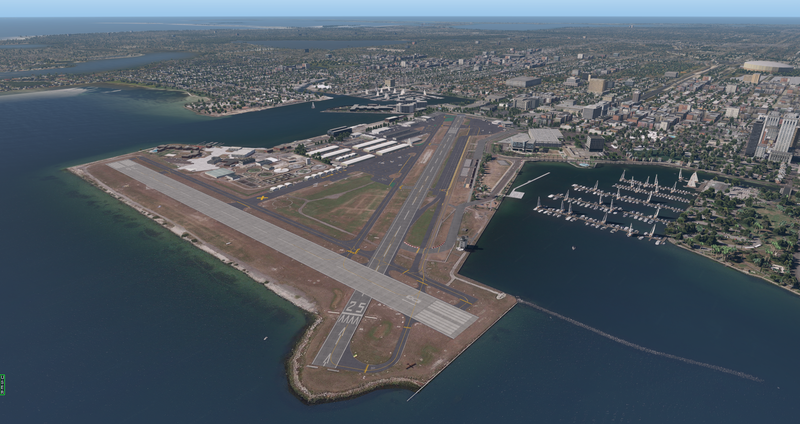 In October of 2016 I wrote a post titled How To Get Started With X-Plane 11 (For Those Coming From P3D Or FSX). 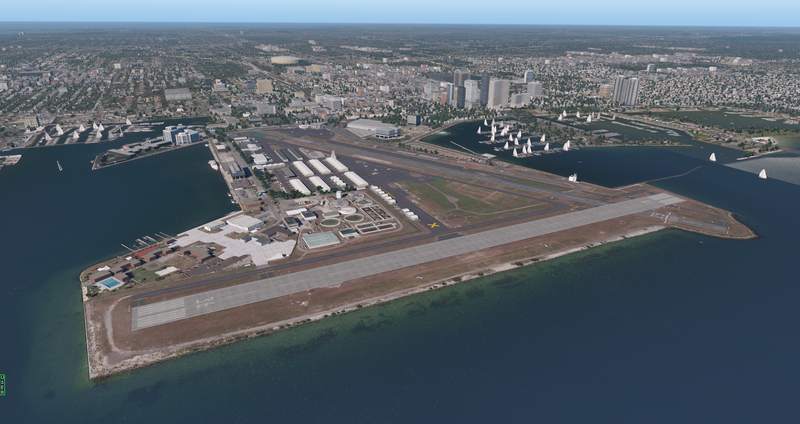 I recently received an email from a reader who’s new to X-Plane asking if I’d updated it, and I had not. I did so today (it’s here as well as in the How To menu at the top of the page), and I will continue to do so on a regular basis. It was amazing to me how much has changed — for the better — in two years.